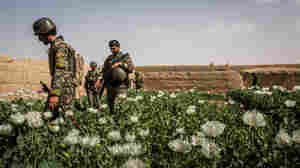 January 15, 2014  Despite a $7 billion effort to rid the country of opium production, more land than ever before is being used for the illicit trade, says John Sopko, the special inspector general for Afghanistan reconstruction. 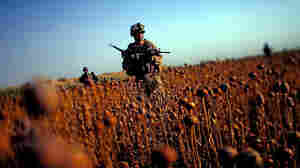 June, 2011: U.S. Marines patrol with Afghan forces through a harvested poppy field in Afghanistan's Helmand province. October 11, 2011  The seemingly intractable nature of the problems plaguing Afghanistan are being underscored yet again with two new reports from the United Nations.